Ever wondered what it would be like to make money while being your creative best? The time of wondering has passed. 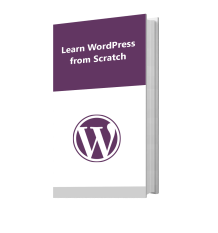 Read the ultimate guide on how to Monetize WordPress blog and start making money instantly! Over the years, webmasters have realised that the reach of the Internet is not limited to knowledge, information and entertainment. The ever-changing technologies and the expanding reach of the Internet have allowed webmasters to monetize their blogs, aiming to set up businesses that focus on yielding results without having to use, sell or provide tangible products in the market. 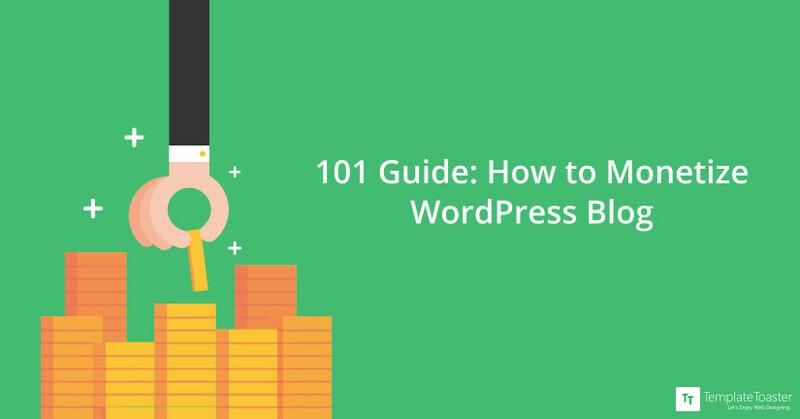 With some simple tips and focus on the right strategies, you will have the answer to the age old question – How to Monetize WordPress Blog? This post of TemplateToaster website builder software aims to help you understand the fundamental basis of monetizing a WordPress blog, and here at Templatetaoster WordPress website builder i hope that the monetization strategies and tips discussed here encourage you to take necessary steps to make a few extra bucks without requiring a huge investment. Simply put, monetization is converting an asset or object into money. Creating a website or writing on a blog have always been popular on the Internet. However, earning a profit from them requires knowledge and things that need to be considered. First and foremost you will have to begin by choosing a niche which you will want to publish and keep for a long time. It is important to consider interests and popular subjects of audiences you wish to target while choosing a niche. It is also very important to do a thorough research about the subjects most talked about. How to Monetize WordPress blog? On deciding a particular niche, and setting up a WordPress blog on your own or choosing a professional designing and optimising system, you can start promoting your blog, and on learning how to monetize WordPress blog you can start using effective ways to start making money! Here are some good ways to start making money with your WordPress blog and on other Blogging platforms for bloggers. The first thing required when you publish your WordPress blog is that you understand what SEO is. Search Engine Optimization (SEO) is a process used to maximise the number of visitors that arrive on your WordPress blog or your website. This ensures that when someone searches a particular term, your blog is ranked up, increasing your chance of getting more visitors. Search engines love quality, relevant, interesting and fresh content. But, there are other factors also which you need to take into account for improving your search engine rankings. A blog post needs to be indexed, and backlinks should be present to improve its rank for a targeted keyword. Optimising content can be quite difficult but it is the key to monetization. The tips listed below can be used by you to optimise your WordPress blog to maximise results. The most important tip you can use is to optimise the Pages Link Structure. In most cases, a link to a specific web page looks similar to ‘http://abcblog.com/?p=x’. Since you’re looking to attract more people to the web page, the structure can be changed to something like ‘http://abcblog.com/post-title’. In order to do this, just choose function settings of the arbitrary structure, and enter the title of the post. The titles that you choose for your pages and posts, should be written from the point of view of your audience. You need to start thinking from the perspective of your audience who could be a reader or buyer. Using keyword tools like Google AdWords to search for keyword ideas could go a long way in the optimisation of your blog. There is always a text file available in the root directory of your WordPress blog. This file has all the special instructions search engines look for such that when a search engine spider visits your WordPress blog, it checks the file in the root directory first to make sure whether certain files are restricted or unrestricted. Therefore, you should not ignore Robot.txt as the spiders act according to the instructions they find there. If you wish to make a profit from your WordPress blog, installing a Google XML Sitemap plugin could do wonders. This plugin generates XML sitemaps for search engines like Yahoo, Bing and Google. On adding this plugin, your blog will automatically get indexed, thus improving your search engine rankings. Here is a list of absolute XML sitemap plugins which could reduce your time searching for one. You can secure your blog from spammers by installing an anti-spam Akismet plugin. An anti-spam plugin will increase your rankings in a major way. Indexing your blog as mentioned earlier, is important. You can easily index your WordPress blog by informing search engine crawlers that you have made an update. On installing different ping services, you can notify popular search engines of the changes you have made. By doing this, you will significantly increase your indexing process. In order to ensure that readers can navigate your blog without any issues, you should add categories, tags, footer links and so on. The best way to link building is by interlinking articles on your WordPress blog. By using many different automatic interlink plugins you can ensure that articles in your blog are linked with each other. An easy way to let spiders understand what the image you have posted is about, you can use the ALT attribute. Spiders usually read ALT attribute and the image name, therefore if you have good ALT text and keywords in images, you will get a big SEO advantage. An easy way to make money on your WordPress blog is the feature of Pay-Per-Click. There are several companies who look for popular blogs that seem relevant to their products or services. These companies place their advertisements on your blog and pay you anytime a visitor clicks the advertisement. Most of the time, you will be offered a commission if a visitor of your blog, buys their product. Alternatively, you can tap into major markets, to display advertisements on your blog. One example of it is AdSense. A system which allows bloggers to tap into Google’s huge network. On signing up, Google will place a simple code on your WordPress blog, which will identify content and start displaying relevant advertisements. You will get paid-per-click for this as well. Another commonly used feature to make money via blog is through Cost per Thousand Page Impressions. For example, if your blog generates 10,000 views on a monthly basis, then if you choose to display a banner advertisement, then a standard $1 CPM, can earn you about $20 monthly. Companies are always on the lookout for bloggers who can write product reviews for a basic fee. If you are aware of a company which has a similar niche as your WordPress blog, you can promote or even sell its products on your blog. This would generate more traffic, and also a fee for promoting the company’s products. One of the best strategize to monetize your blog is to give Affiliate Marketing a try. Although this type of marketing doesn’t generate a high revenue, it helps a blogger generate a steady income. All you have to do is, add links to affiliate products on your blog. You can tap into markets like Amazon, JVZoo and ClickBank to find items that may interest your audience. If you know that your audience loves the content you write, you can sell it at a price. Compile a collection of your best blog posts, or write your own Ebook and earn royalties from sales. Alternatively, you can sell premium content, aka, you can show only part of an article and for the complete version your audience must pay an amount to gain complete access. If your user starts signing up or subscribing to your WordPress blog, you can get a list of email IDs of people that tend to follow your niche. You can then share these email IDs with companies, who would happily pay you for new leads that may be interested in their services. You can make quick money by selling your blog. Although not recommended, it is one way that you can create, sell and re-create. This is for people who are good at creating optimised blogs that generate a lot of traffic. As 2018 turns, even more people towards the digital world, it is important to have a strategy that doesn’t fail. This can happen only if you have more than one strategy leading to monetization. Listed below are 4 types of plugins, which can easily be installed on your WordPress blog and will help you generate more money. You can monetize the comments that you receive by using a simple plugin named Vuukle. Devised to monetize the comments section on your blog, Vuukle gives you the option to get revenue. It lowers the bounce rate, increases engagement time, gives additional income through its ads and all in all increases the number of comments your blog receives. Ad blockers have brought about a depression in pay-per-clicks and CPM features. However, all is not yet lost. You can install a plugin named Block Ads to Bitcoin and turn ads into bitcoins anytime users have Adblock enabled. This plugin allows bloggers to monetize unused ad space effectively. You can use interstitial ads if you do not wish to inject any popup windows or banner ads into your WordPress blog. On installing a plugin named, Clk.im ad network, which deals mainly with links. Once you get started, you can configure it by copy-pasting your public API key, available at registration. This would not bother your visitors, and you will still earn money via links that are clicked on by them. You can generate direct revenue by recommending high quality sponsored content recommendations on your WordPress blog. It is easy to recommend comment by installing a plugin named Taboola, which would display content from Taboola on your app widgets. Another way to get thousands of visitors to your site such that you can use all the above-mentioned monetization strategies to gain income is to have quality content on your WordPress blog. Following a few factors will ensure that the content you have is the content people wish to read. The first factor is to keep in mind the audience, the second is to publish quality content which is original and grammatically correct. The third is the key, which is keeping your article short and to the point. The fourth is to add links wherever necessary and last but not the least is to keep the various mentioned SEO techniques at the top. Monetizing a WordPress blog can more often that not be a hectic task. However, it doesn’t always have to be. You can simply download a third party tool like TemplateToaster which lets you place ads and plugins anywhere on your blog without the hassle of coding when designing a theme. 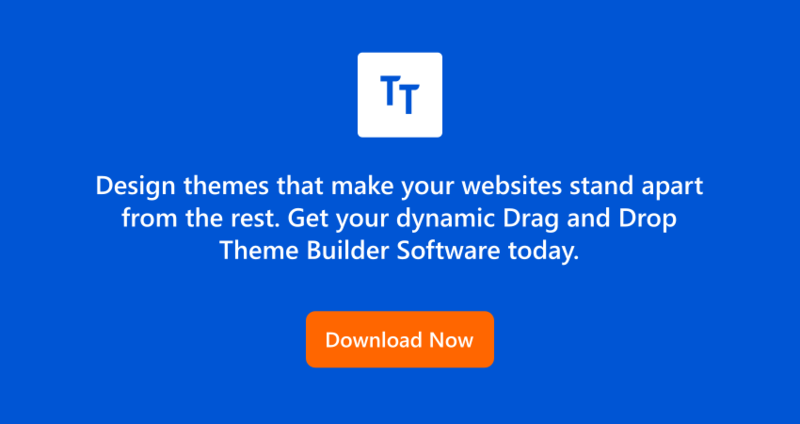 On downloading and installing TemplateToaster, you can simply skip the steps of looking for plugins and design your own custom theme, with sliders, banners and ad placements that you like and that do not weigh down your slide. Which is the best way to monetize WordPress blog? So we’ve talked about SEO and different monetization techniques. Problem is that there are so many techniques that one will get flustered choosing the best and right one. However, it is not as daunting as it may look. The first thing that you must always keep in mind is to focus your energies on creating your own niche and then going about monetizing your WordPress blog accordingly. Nonetheless, we must mentions which strategy we think is best. Since the advent of ad blockers, an ideal scenario would be to first optimise the blog with SEO factors and publish quality content. Once that is done, add plugins such as Vuukle and Clik.im along with Google AdSense or download TemplateToaster web design software and design everything as you would like! Do all this and you’re good to go!